Richard Laymon passed away on February 14, 2001. Before he left us, he penned some of the scariest, seediest horror novels ever written. Really, it’s difficult to go wrong when choosing a Laymon novel, but if you are new to Richard Laymon, I have some suggestions for where to start. The modern world of horror novels does not begin and end with King, Koontz, Barker, and Ketchum. As Stephen King, himself, once wrote, If you missed Laymon, you missed a treat. We might argue for days about which Richard Laymon novels are the best. I’ll simply say these are my five favorite, and if you read them, you are, indeed, in for a treat. A Bahamas cruise goes wrong for a group of eight people when their yacht explodes. Maybe being stranded on a tropical island isn’t the worst thing in the world, but it gets worse when a killer starts running amok. After the explosion, the story revolves around basic survival – how to start a fire and keep it going, where to find food, how to get rescued. Food is plentiful, and the survivors do a decent job keeping the fire going, but it doesn’t take long before someone starts to murder the stranded party one-by-one. Written from the perspective of Rupert Conway through his personal journal, Island mixes humor with horror and sexploitation. Laymon employs more tongue-in-cheek humor in Island than in he does in his other books, and I would argue that Island is more twisted adventure than it is horror. Regardless, this is a page turner from start-to-finish. Night in the Lonesome October is my favorite Laymon novel, a story I return to at least once every two years. It never fails to move me. The story begins with Ed, whose college girlfriend has broken up with him. Heartbroken, Ed tries to outrun his restlessness by taking long “night walks” through town, migrating far from the perceived safety of campus. Along the town’s lonesome roads and sidewalks, he discovers hidden dangers, a seedy underworld, and a beautiful girl wandering the same shadowed sidewalks. He is torn, for he has a new college girlfriend, but the mystery of this new girl is too alluring. Does he approach the girl and risk scaring her away? He discovers the town girl’s hidden secret, just as a lunatic begins to pursue his new college girlfriend, setting the stage for an incredible climax. The characters of Night in the Lonesome October are some of Laymon’s very best – varied, believable, and easy to care about. The town is richly described and will long haunt your imagination. Boleta Bay, a tourist trap on the California coast, is the site of a boardwalk amusement park in which dark secrets reside. A group of homeless persons, which the locals refer to as trolls, harass the carnival walkers, often coming out at night to stalk the boardwalk like ghosts. A faction of vigilante teenagers desires to cleanse the boardwalk of the trolls, first opting to put a scare into their victims. Soon the teens’ actions escalate into violence, drawing the attention of two police officers who routinely patrol the amusement park. But not everything is at it seems. People begin to disappear under the shadowy piers, and someone is stalking a young runaway who sleeps within the perceived safety of the boardwalk. What evil lurks within Funland? Laymon is infamous for the disturbing light in which he frequently casts society’s underbelly. 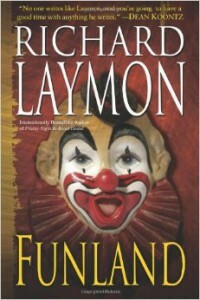 Funland is Laymon at his nastiest and seediest. An amazing page-turner, once you start reading Funland, you won’t be able to stop. Bizarro and dark horror like none other. On a lazy summer’s day in 1963, a traveling vampire show arrives in the tiny town of Grandville. A trio of 16-year-old friends – Dwight, pretty Slim, and tag-along Rusty – sneak out to Janks Field to watch the vampire show set up, and hopefully to catch a glimpse of Valeria, the star attraction. After a tangle with a wild dog scatters the friends, Slim watches the troupe viciously attack the dog. Strange things begin to happen in town, and all is not as it seems. Half coming-of-age story, half horror novel, The Traveling Vampire Show is truly one of Laymon’s finest achievements, deserving mention alongside Robert McCammon’s Boy’s Life. Dwight and Slim provide endearing characters, with Rusty a believable thorn in everyone’s side. One of the finest vampire stories you will read, The Traveling Vampire Show is a wonderful page turner. Richard Laymon at his finest. One prevailing theme of Richard Laymon novels is of camping trips gone very, very badly. We get this and more in Dark Mountain, a story of two families who encounter a crazed killer and his mother, the old lady of the mountain. Combining slasher genre elements (Wrong Turn, Friday the 13th, Just Before Dawn) and the supernatural, Dark Mountain is a gory piece of horror which will keep you up late and make you think twice about that next trip into the woods. The visuals of the forest are perfectly rendered by Laymon’s prose and description, and the lady of the mountain and her vicious son bring a strong sense of foreboding. Definitely recommended. As you probably guessed, I’m a big fan of the late Richard Laymon. These are five of my favorites, but he wrote plenty more novels worthy of mention, including The Beast House series. I’ll touch on those at a later date. Until then, keep reading! 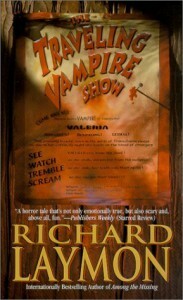 I read traveling vampire show years ago and I thought it was probably the best book I had ever read. I made my brother read it and he also really enjoyed it. About a year ago I came across night in the lonesome october and as far as I’m concerned I’ll never read a better book. I was always against reading a book more than once but I will make an exception. There’s something about the story that makes you want to walk the streets at night and find that girl. Not any girl,but that girl. As ridiculous as it sounds I loved that damn girl by the end of the book. Then it was over. Agreed, Cody. Night in the Lonesome October greatly influenced my own writing. 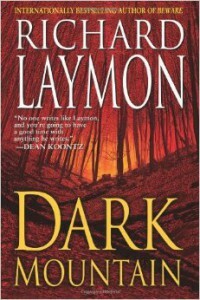 It is, in my opinion, Laymon at his very best. It’s impossible not to immerse yourself in the “night walks” and the protagonist’s search for the mysterious girl. The best Richard Laymon book by a very long way is “Savage” in my opinion. But most of them are great. Thanks, Steve. I heard a rumor The Stake will get a re-release soon, including digital versions. I’ve read about 7 so far and loved them all . If I had to pick a favorite so far it would be Island , Dark mountain would be a close second . I’m sure that will change as I go through all his other novels. Thanks, Kenny. Keep reading Laymon. You won’t be able to get enough of him. hi, I’m Francisco from Spain, not a lot of novels by Laymon translated to Spanish, one of them is The travelling vampire show that I have started to read. 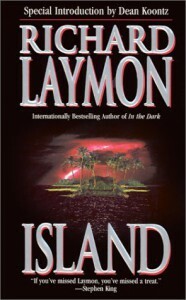 why has there not been a movie made from a laymon book! he is the best writer ever, he makes dean kkotz look like a learner. Great question. At least, I would assume a Laymon novel would inspire British-based horror movie, as his reach was much stronger in the UK than the US.